Zone marked off with lines that is set up for playing darts. 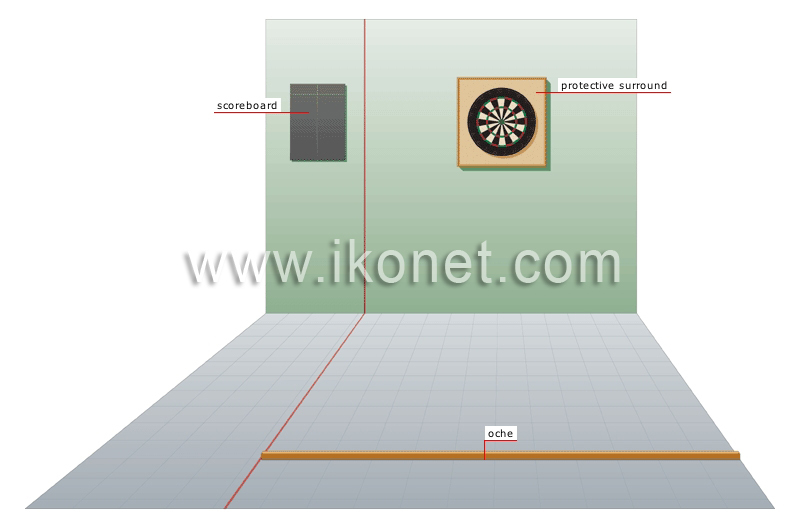 Line that is 2.37 m from the target; the player stands behind it to throw the dart. Board used to record the players’ scores. Covering that protects the wall from being hit by darts.